Frank DiPascali, a 33-year employee of the firm that ran the largest Ponzi scheme in recent history, took to the stand to testify against his former colleagues. Frank DiPascali, the Bernie Madoff henchman who won the role as the star witness in the biggest fraud case in American history, torched five of his former colleagues with his testimony Monday in federal court. Perhaps more important, DiPascali is the first witness to demolish the myth that Bernard Madoff ever had a legitimate investment advisory business. The star witness also pulverized Madoff’s assertion that he had acted alone in constructing the biggest Ponzi scheme in history as he began implicating the five Madoff employees whose defense essentially is that they too were duped by Bernie and did not realize they too were committing fraud. Annette Bongiorno, Madoff’s executive assistant, Daniel Bonventre, his director of operations, and their three co-defendants are the first to stand trial, rather than plead guilty after seeking co-operation agreements from prosecutors. Before turning himself in, DiPascali, who started as a 19-year-old clerk for Madoff’s firm at 110 Wall Street on Sept. 11, 1975, made millions of dollars as the man in charge of aiding and abetting Madoff in falsifying accounts. 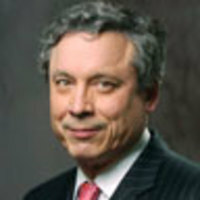 During direct examination, Assistant U.S. Attorney John Zach asked: “How long had fake trading been going on?” DiPascali, relaxed and confident in a grey suit, red tie, white button-down collar shirt and black loafers, replied: “For as long as I can remember.” DiPascali explained that when he started, the Madoff firm did do business as a market-maker in small over-the-counter stocks, while “Bernie had the sideline business where he was running (managing) money for a select group of people, usually high net worth individuals.” Even then, DiPascali said, Madoff was concocting a trading strategy that he would describe to his customers in exotic terms. Then the Madoff team would fabricate trades to mirror the alleged strategy on customers’ account statements. As the firm grew bigger and moved to midtown Manhattan, it had to computerize its records to fake so many documents. Madoff was sentenced to 150 years in prison for his Ponzi fraud that cost investors nearly $20 billion in real money and another $48 billion in imaginary profits they thought they had earned in their Bernard L. Madoff Investment Securities accounts. For his part fabricating documents while lying to investors, auditors, regulators and investigators for decades, DiPascali, 57, pleaded guilty in August 2009 to 10 felonies and still faces at least 125 years in jail, unless his sentencing judge cuts him a huge break for his extensive co-operation with prosecutors. In court Monday, DiPascali detailed how he, Madoff’s former secretary and executive assistant Annette Bongiorno, and others fabricated stock trading accounts supposedly containing big name blue chip stocks such as IBM, Disney, AT&T, to convince customers and regulators that all was well and their money was safely invested. Madoff also hid from everyone how many clients he had, said DiPascali, “because that would truly reveal the fraud.” In anticipation of visits from investigators, Madoff, DiPascali and the people who ran the computerized records department would generate hundreds of pages of fake documents by looking up old stock quotes in the Wall Street Journal and elsewhere. When a skillful outside auditor from KPMG who was representing HSBC, an international bank that had invested millions with Madoff, came to look at the books, he asked DiPascali to see an entire day’s history of trades. DiPascali said he had responded: “I think we only retain the last day of the month… I realized that did not make any sense and he picked up on that.” So when the auditor asked to see “April 17,” DiPascali coolly picked up the phone and called in house computer expert Jerome O’Hara, now a defendant, and asked for the records. Several hours later, when DiPascali arrived to pick up the newly manufactured documents, he found O’Hara and two other co-defendants JoAnn Crupi and George Perez, “throwing the document around like a medicine ball. They explained to me that the document should look used.” And, DiPascali continued, since it was still warm from the copying machine, they had put it in his office refrigerator to cool it off. Once the document was produced, the auditor checked it off his list, DiPascali said. In 1992, when the Securities and Exchange Commission stumbled onto an accounting firm called Avellino & Bienes, selling unregistered investment accounts with guaranteed returns that were all based on the money being invested with Madoff, Bernie exploded with rage and fear, said DiPascali. The Florida-based accounting firm had hundreds of investors, many of whom had been recruited by a predecessor firm, Alpern & Avellino, that had been run by Madoff’s father-in-law Sol Alpern. “Bernie was throwing himself around the office like a lunatic,” testified DiPascali, who then outlined how the staff was mobilized to create reams of fake records for the Avellino & Bienes accounts held by the Madoff firm. “He wanted to keep the SEC contained inside Avellino & Bienes. He could not afford to have that investigation go any deeper because as you started to peel the onion at Avellino & Bienes, the fraud would be exposed.” DiPascali testified that to hide what was going on from the SEC, he, Bongiorno and others changed the accounting firm’s records to make it appear as though it had less risky investments and was solidly protected by its holdings of U.S. Treasury bills. Judge Laura Taylor Swain adjourned the court until Wednesday before the jury got to hear how the conclusion of DiPascali’s explanation of how they fooled the SEC. The defense has promised to attack DiPascali during cross-examination as a liar who will say anything to get a reduced sentence. I wonder whether that will be credible to the jury after DiPascali’s devastatingly detailed and damaging testimony.